WoWWee CHIP Robot Dog is one of the most affectionate, smart and trainable well-designed robot dogs. From the leading developer, marketer, designer and distributor of high-tech innovative consumer robotic products, CHIP is there to bring love, warmth, and contentment in your home. With a bunch of cutting-edge features, this robotic dog comes with a Smart Band which allows him to recognize and follow you. Having CHIP in your home is all you need for a new robot friend with all the admirable qualities of a real dog. It shows affection; loves to play and learns new tricks. 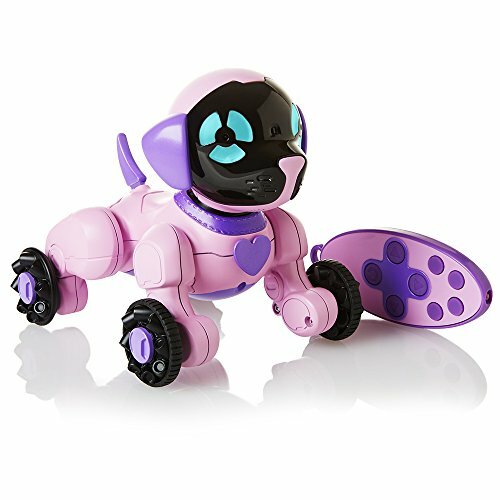 Some of the exclusive features that make this robot dog a must have in your home are the abilities to portray a lively and playful nature. He can comfortably roll his Smart ball and bring it back to you, pick up the front legs and invite you for a friendly dance! To show the affectionate self, CHIP can easily rub his nose against yours and will nuzzle right back. Spending that spare time with your CHIP is the best way to avoid dullness and boredom as you will stay active together. An intelligent puppy will never disappoint you. CHIP is an epitome of such a dog with smart accessories and advanced sensors that keep him ready to play and always alert. He can customize his behaviour accordingly by reading your response and with time will develop his own personality. This friendly robot puppy does not demand your attention that much; he can easily suit his own needs provided the resources are readily available. For example, when the battery is running low, CHIP will automatically go to his smart bed for a recharge. This automation wins big for the WoWWee innovative company and its series of diligently designed products. CHIP is a dream come true and marks a technological breakthrough in the robotic industry. 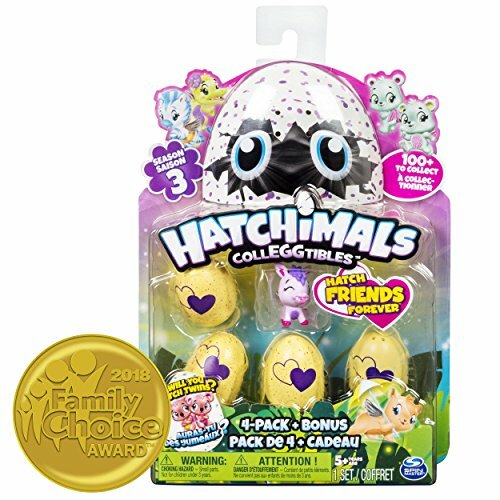 The adaptive personality enables CHiP’s character to grow and change over time. The artificial intelligence algorithms have been packed in a large array of specifically designed high-tech sensors. Real-time and instant processing helps this robot dog to feel, speak, see and listen making him adapt to the adjustment environment in the minimum time possible. CHIP can easily explore the surrounding independently by interpreting all the information passed to the sensors. Another feature of marvel is the Smart Band technology. This will give you a sense of identity to your dog; he will follow you, great you and comfortably play with you just like any other real puppy. He will specifically communicate in such a way to let you know of his emotions; when feeling hungry or when he really needs your immediate attention. A Smart Ball gets your puppy active once you roll it and allow him to play fetch in your company. Some special sensors allow him to easily locate the Bacon sense- equipped ball. The four mecanum wheels allow motion in any direction and can quickly track the ball and bring it back in no time. Over thirty years of innovation and design, this product has finally become a reality. A SmartBed keeps your robot dog engaged and active by carrying out a regular test apart from powering the electronic part of the gadget. Whenever the power threatens to run low, the SmartBed is always there to provide a well-earned recharge. With the ever-changing technology, a smart and emotive robot with all the characters of a real dog has been supplied to the market. The most important part is to own the dog and not to imagine the greatness of having it! Making an effort to buy one is a good reasoning and getting the real deal is more of a privilege. Before you proceed to purchase your CHIP, it is important to know some of the things that make this product very special. This robot dog will create that emotional bond with the owner and become part of the whole family. When it comes to making a real purchase, the legendary world’s largest online retailer, Amazon.com has got your back. Make an order from Amazon and receive an additional code for free chip smart card. Most of the customers who have made their purchase of CHIP robot dog from Amazon have nothing to offer but a genuine review of the remarkable services; instant shifting and a lifetime limited warranty that seals the big deal. This interactive pet dog is just loveable and has been appreciated in the market with demand always on the rise. CHIP has also been designed to suit every environment and can light up in a dark room for easy reach of the wristband. This product works best as your dog pet and you can also have one as a birthday present for your grandson. With WoWWee CHIP Robot Dog meet the exclusive prices with irresistible deals every time you make a purchase from Amazon.com.